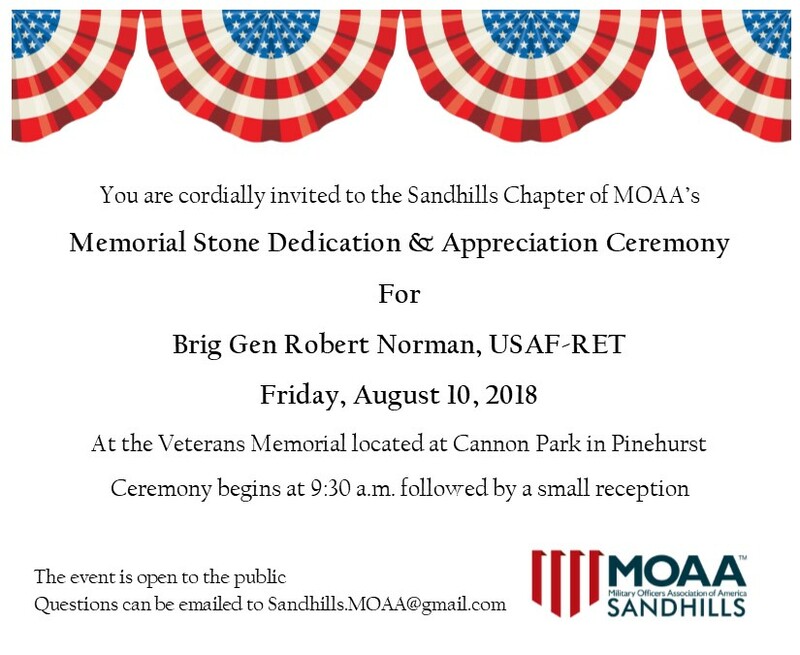 The Sandhills Chapter of MOAA’s would like to invite the community to join us for the Memorial Stone Dedication & Appreciation Ceremony for Brig Gen Robert Norman, USAF-RET pm Friday, August 10, 2018 at the Veterans Memorial located at Cannon Park in Pinehurst (off of Rattlesnake Road). The ceremony begins at 9:30 a.m. followed by a small reception across the street. Please feel free to share the event with friends of the Norman family and other veteran organizations.